The fast-paced Vodka Caliphate is fun from beginning to end, and will appeal to anyone interested in geopolitics. Lee A. Sweetapple’s Vodka Caliphate, the latest installment in the Jim Stillwater series, stands out as an action thriller with exotic locales, environmental consciousness, and intrigue. The book tracks decorated former intelligence officer Stillwater, whose ex-partner Tanya Melnik and wife, Gwen, are abducted while studying coral reefs off the shore of São Tomé in Central Africa. They came too close to the truth regarding a recent oil spill. Stillwater quickly gets a ransom demand but soon finds out he’s dealing not with petty kidnappers, but with ruthless terrorists who could disrupt the world’s energy supply to set up a caliphate. 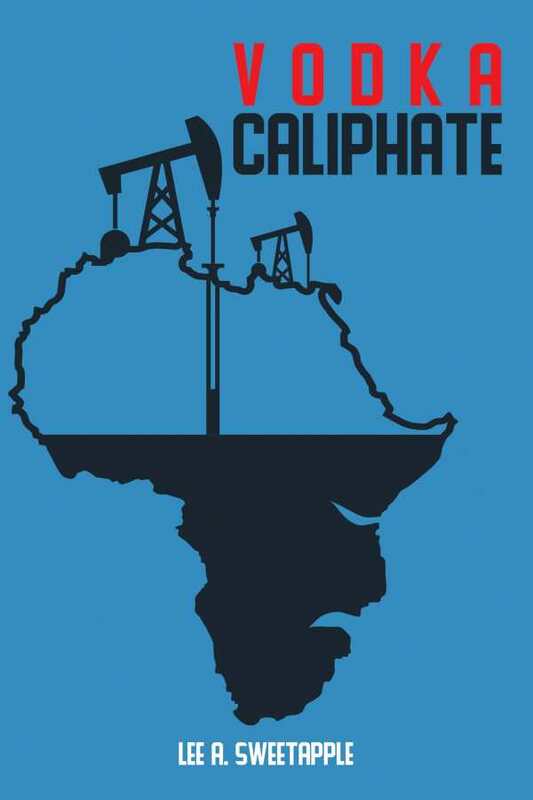 Set in the contemporary world with references to the terrorist groups Boko Haram and ISIL, Vodka Caliphate comes across as generally realistic, though the violence can be over-the-top. The book excels with action scenes, adding comedic touches; once, a pair of operatives obliviously shouts, “Wow, that was close,” into each other’s ears after a massive explosion leaves them temporarily deaf. The plot also takes imaginative turns, such as when the resourceful protagonist weaponizes a urinal cake. The violence, however, is sometimes graphic and sadistic. More than one character ends up with a bloodied crotch. Plot drives the brief novel, which globe-trots but is set largely in Nigeria. The story unfolds briskly with expert pacing. The characters, who recur throughout the series, are memorable. The book includes references to earlier installments, such as a mention of “getting the band back together” for the first time since the last adventure. Stillwater and his crew are charming and interesting enough, though a platonic flirtation between him and Tanya feels stilted. General O’Finn makes for a compelling, menacing adversary who’s given plausible motivations, but is still human enough to be believable. The dialogue can be blandly expository, but it still possess realism and occasional flair—such as when a character flatly dismisses the prospect of sharks by impassively noting there are no fish for them to eat. The book feels largely grounded in verisimilitude, enhanced by slang-like battle rattle and small but telling passages, such as how enlisted military personnel file reports that are lacking in detail. Yet an antiquated ethnic slur is repeated implausibly in context, and a military character is inexplicably referred to by his first name instead of his last.